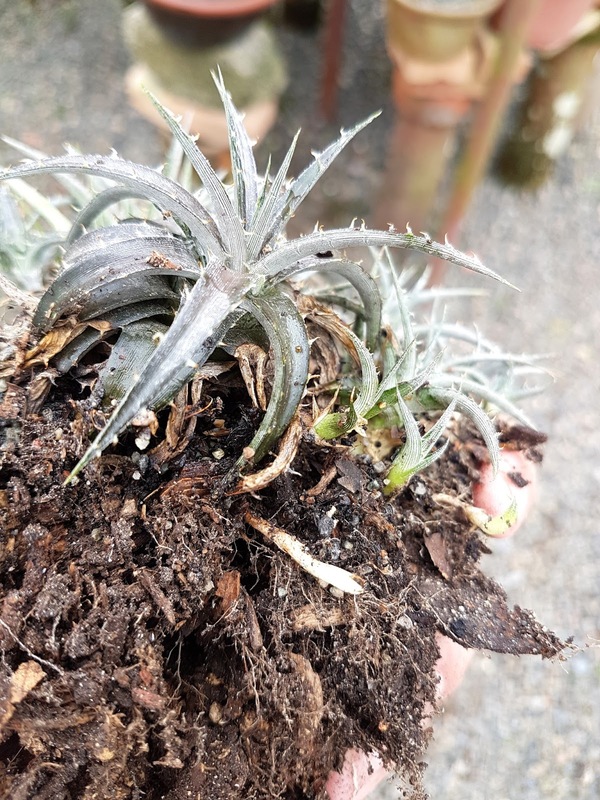 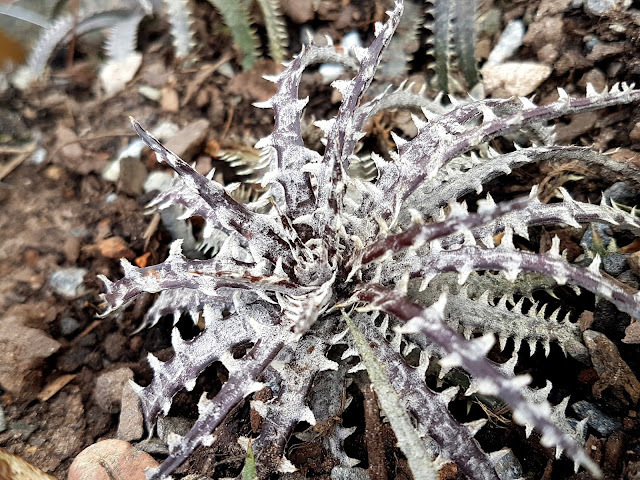 This is most probably the tiniest Dyckia species of all. 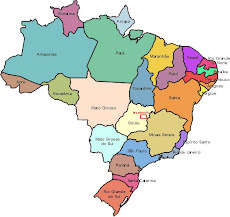 It comes from way down South in Brazil plains, the pampas. 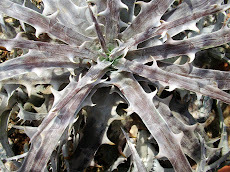 It forms a dense carpet on rocks amid the Pampa prairies. 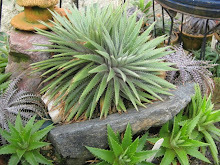 I almost got extint due to extensive sheep breeding. 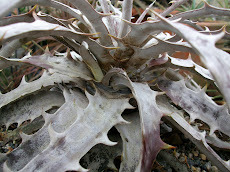 A very few were found within a rotting wood fence post hidden from the sheep lips. 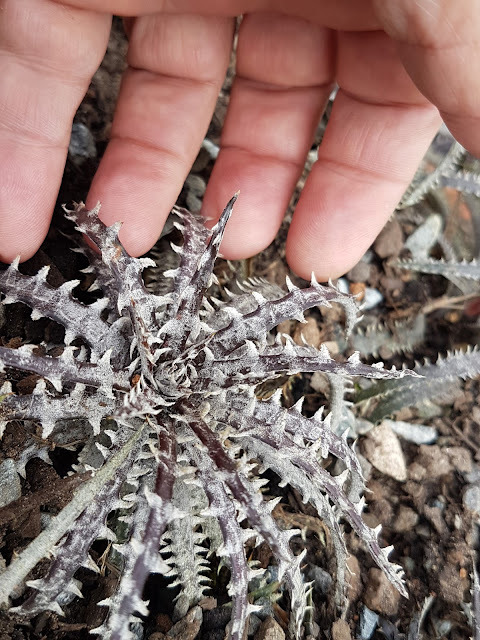 Dyckia hebdingii is always a show but this variety is spectacular. 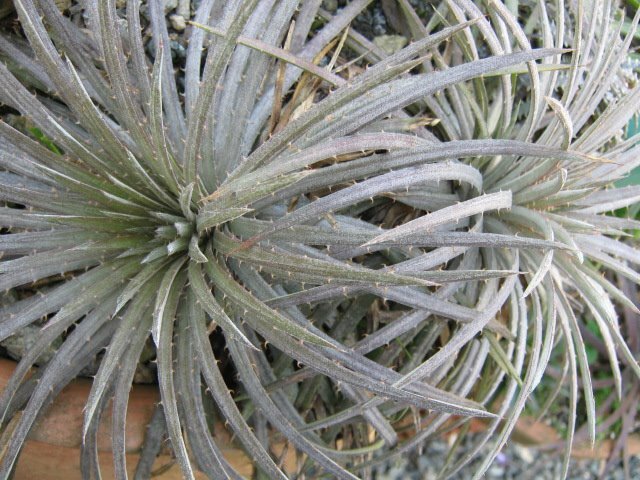 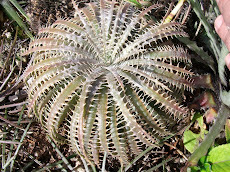 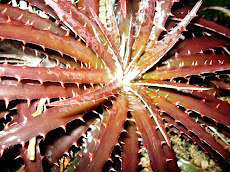 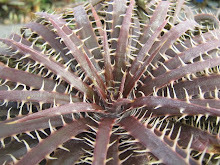 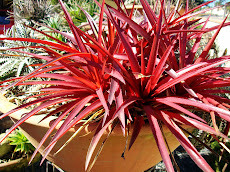 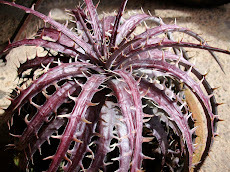 The spines are very conspicuous and the ball shape of the plant is intriguing. 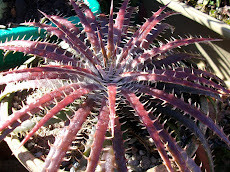 Soon seeds will be available under request. 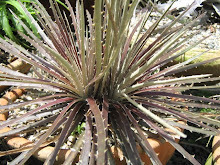 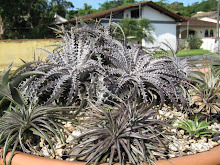 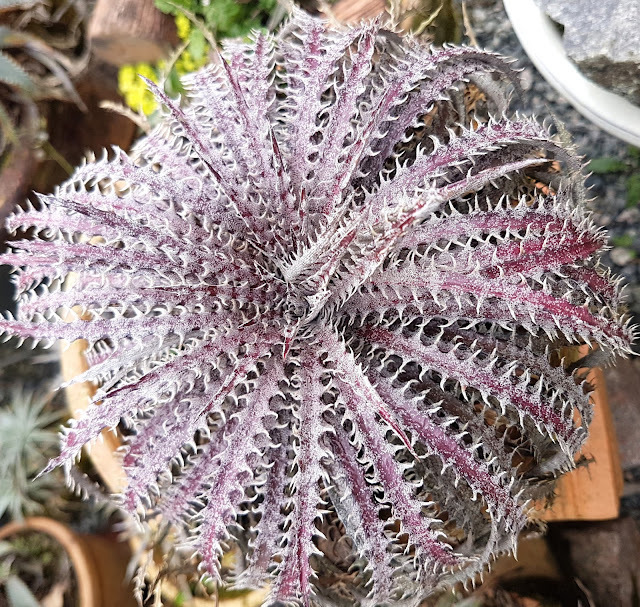 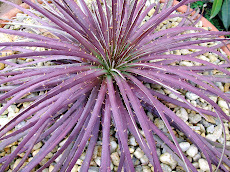 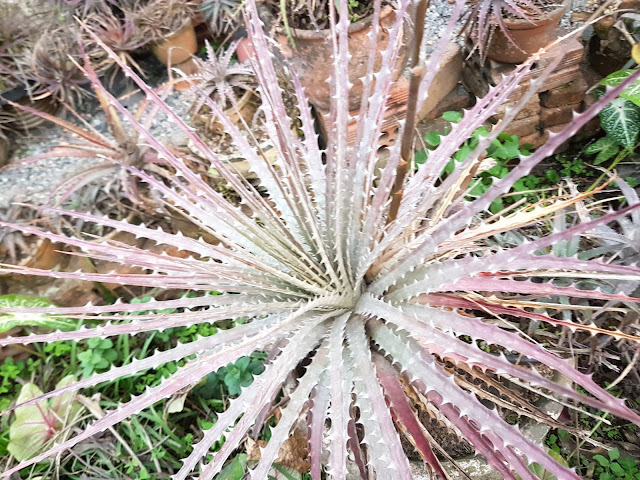 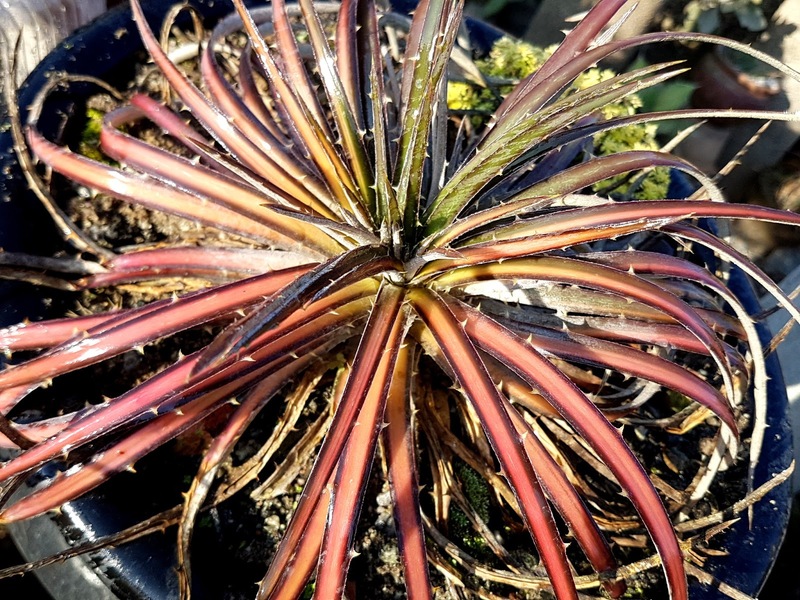 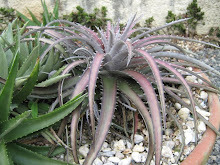 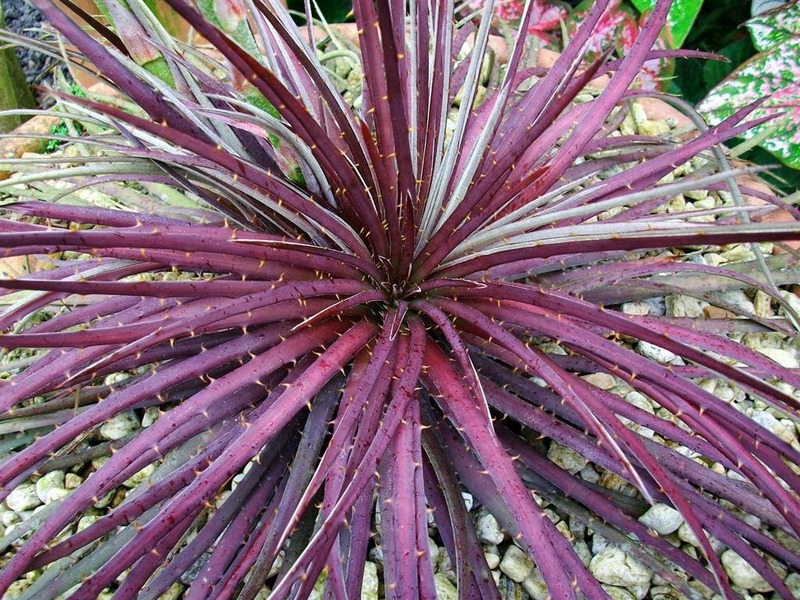 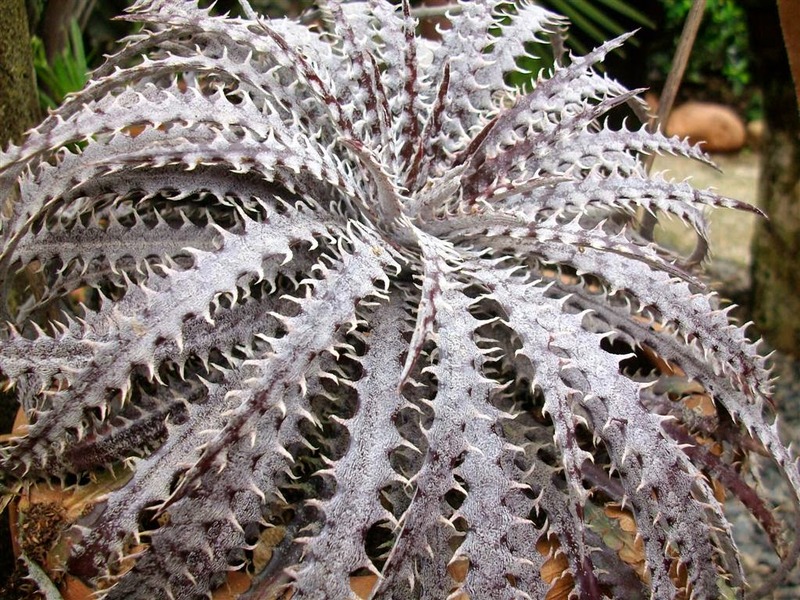 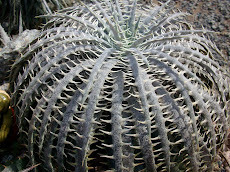 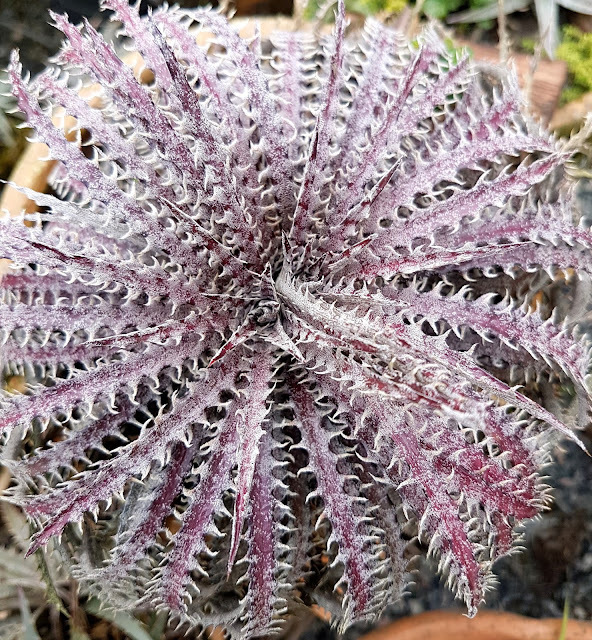 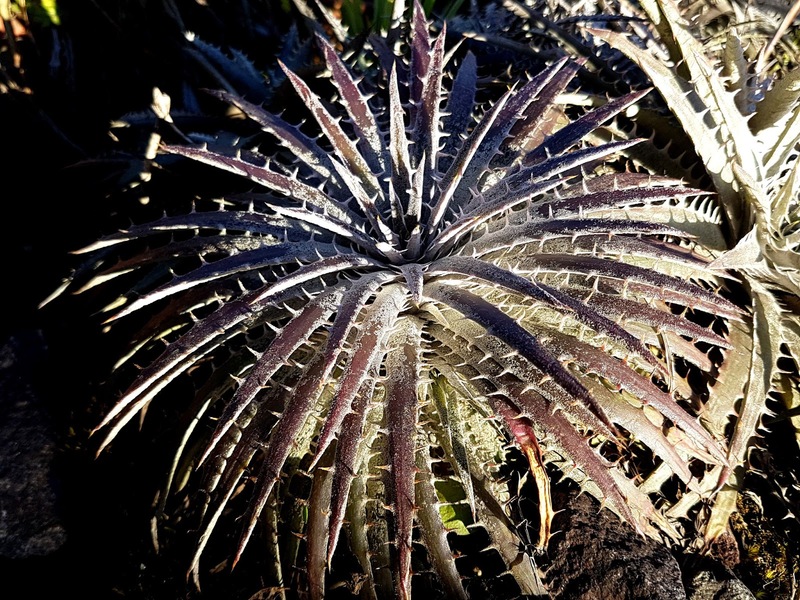 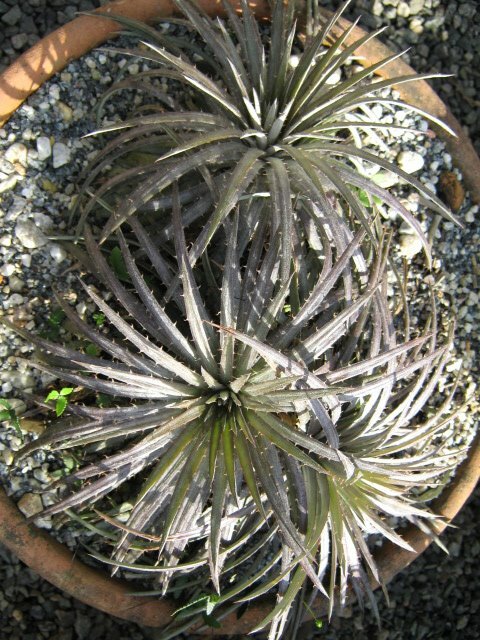 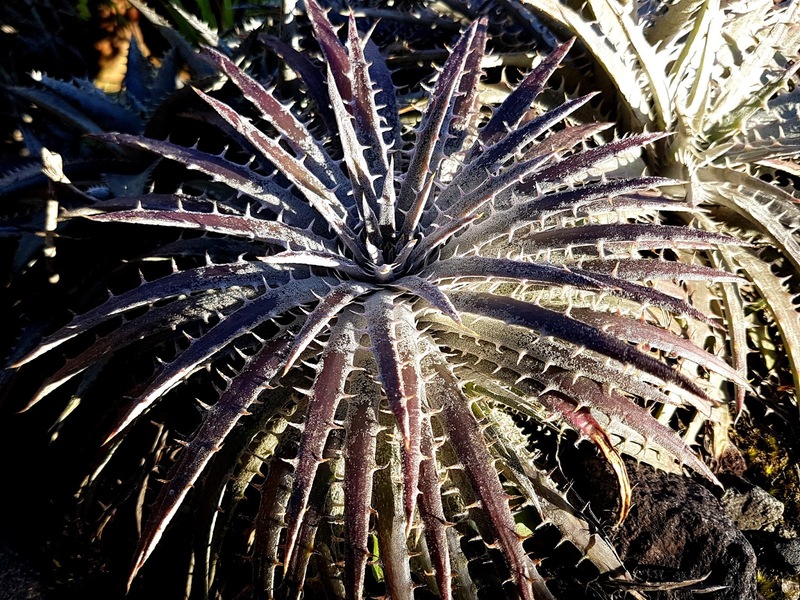 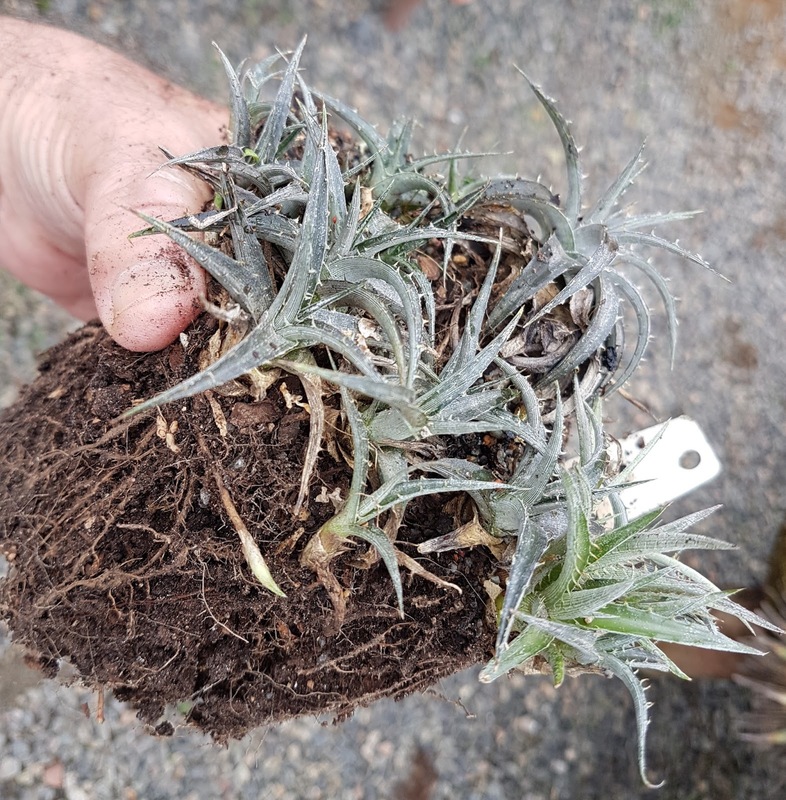 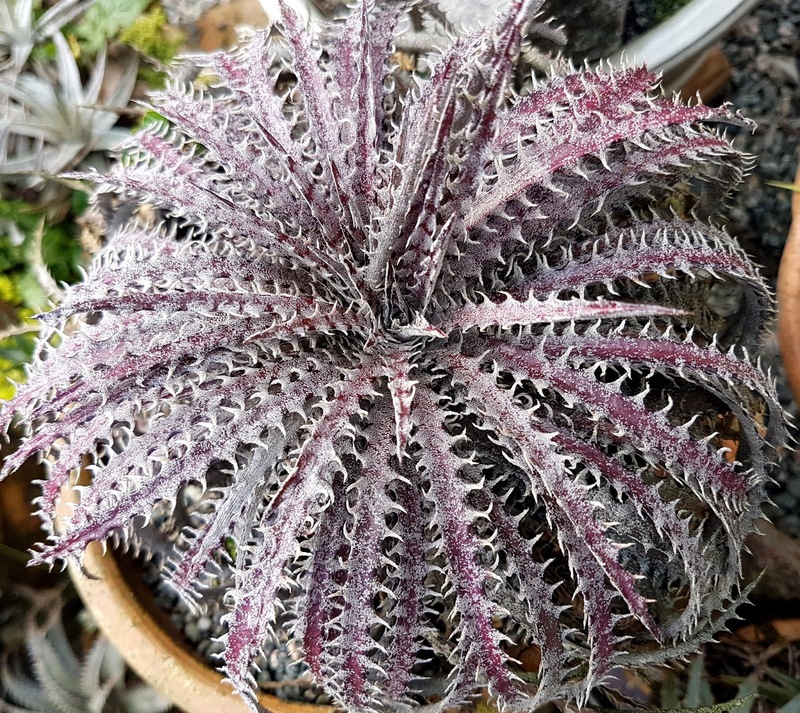 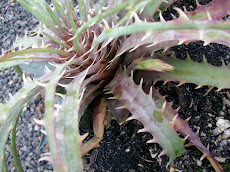 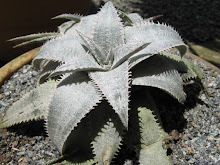 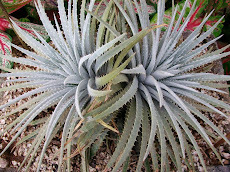 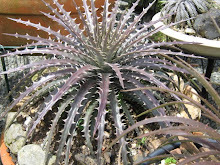 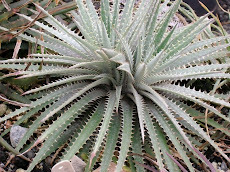 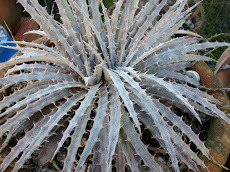 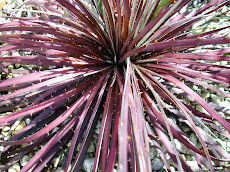 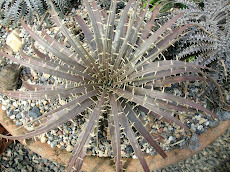 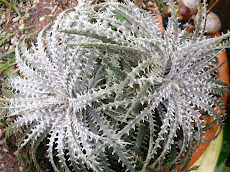 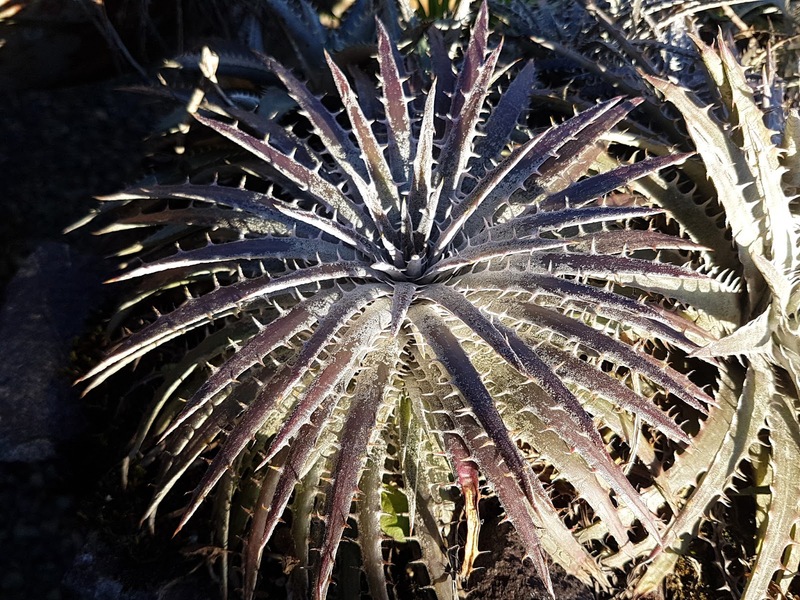 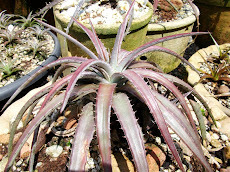 This is a spectacular Dyckia hebdingii form. 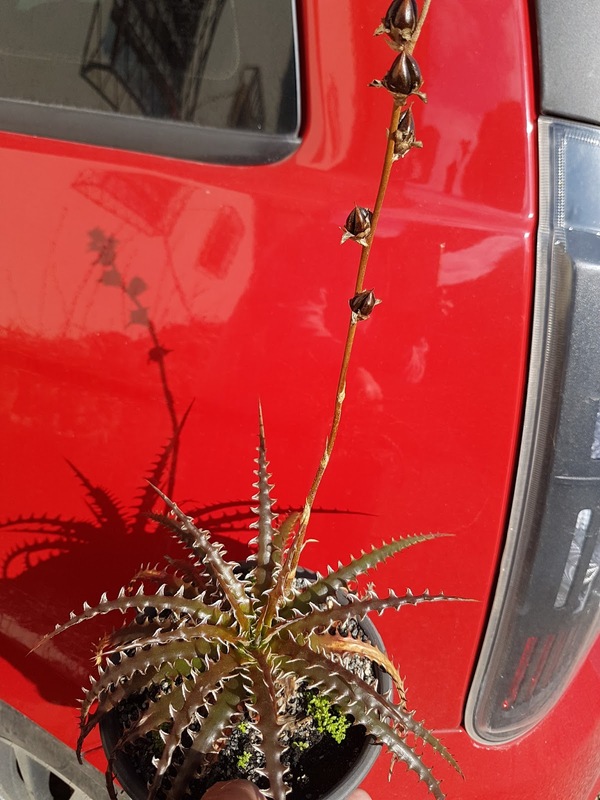 This plant makes a perfect half ball. 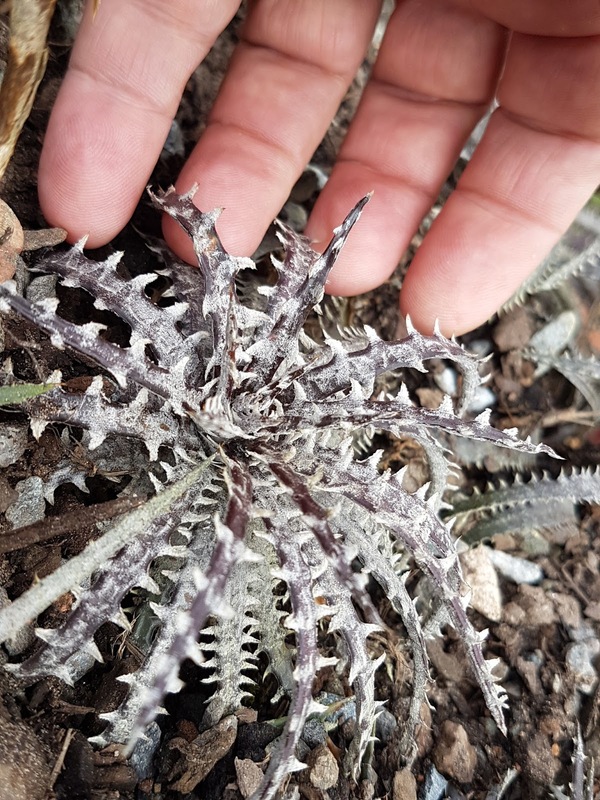 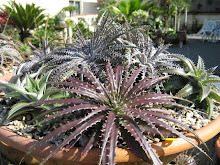 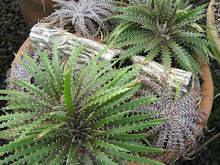 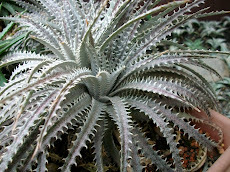 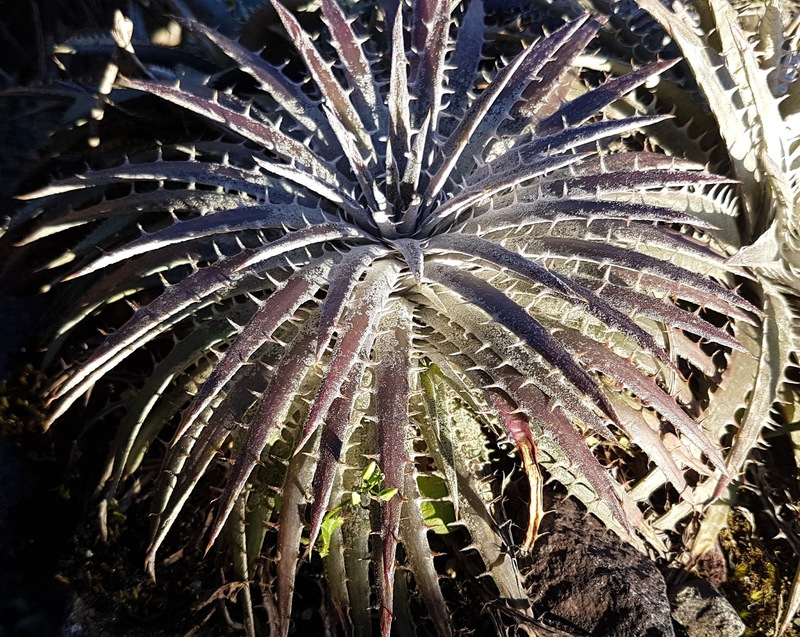 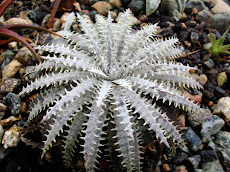 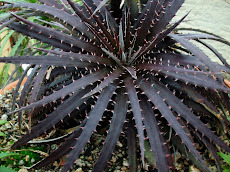 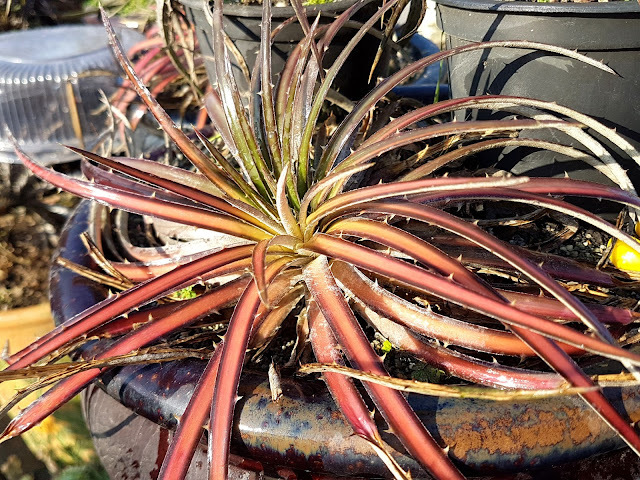 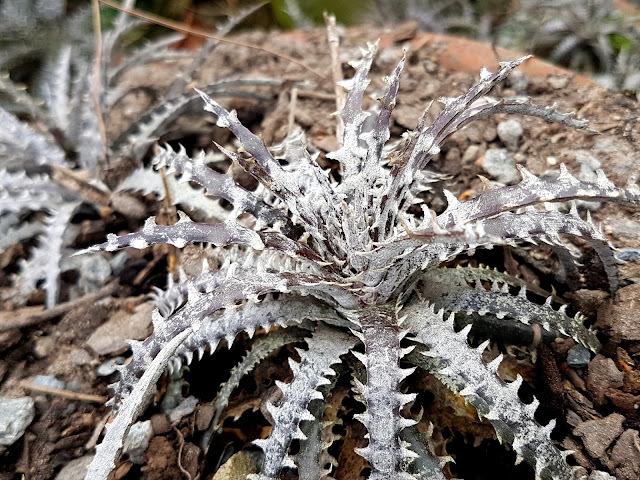 Dyckia hebdingii are amid the best looking ones. ...Yes, these are getting married! 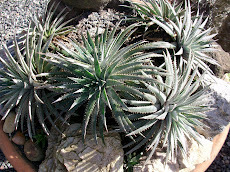 Not Dyckias but wonderful company to them. 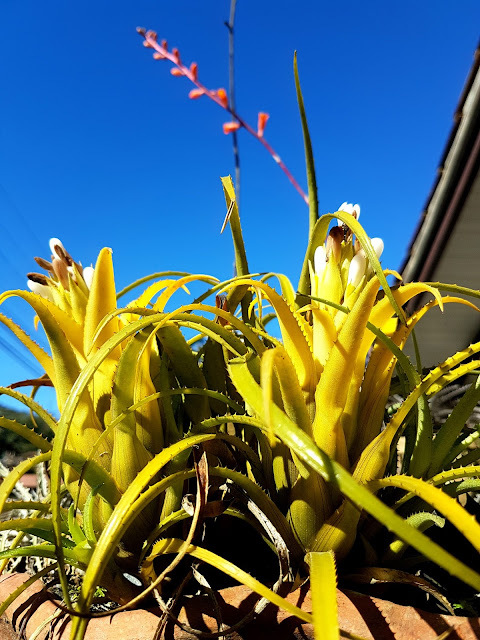 I do get starry eyed here. 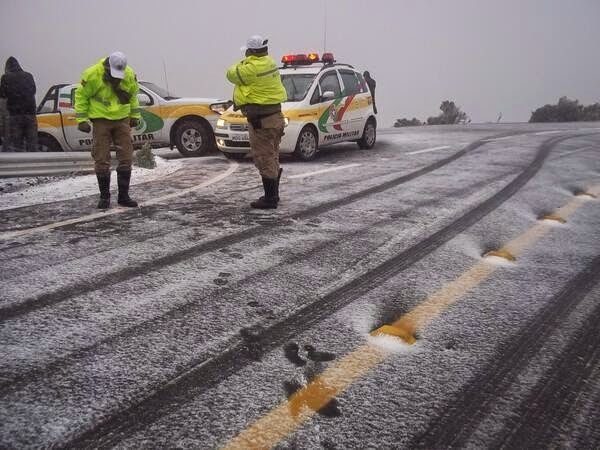 the cold powdered winter rain. 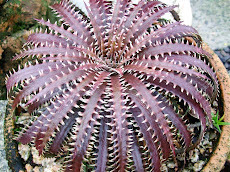 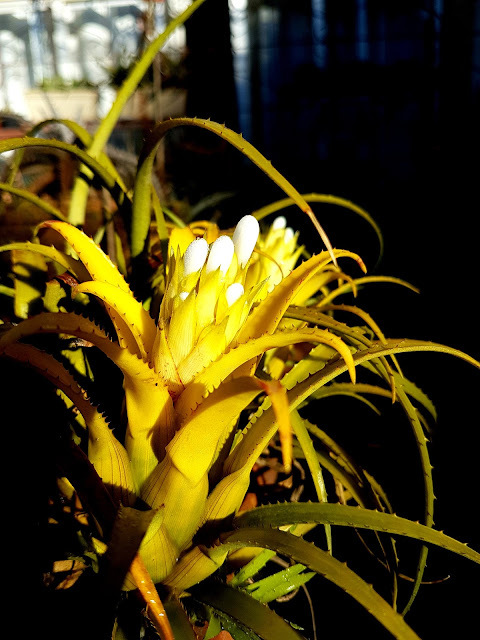 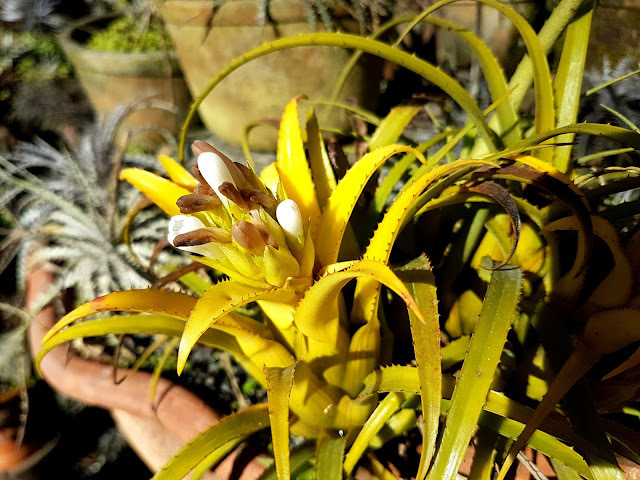 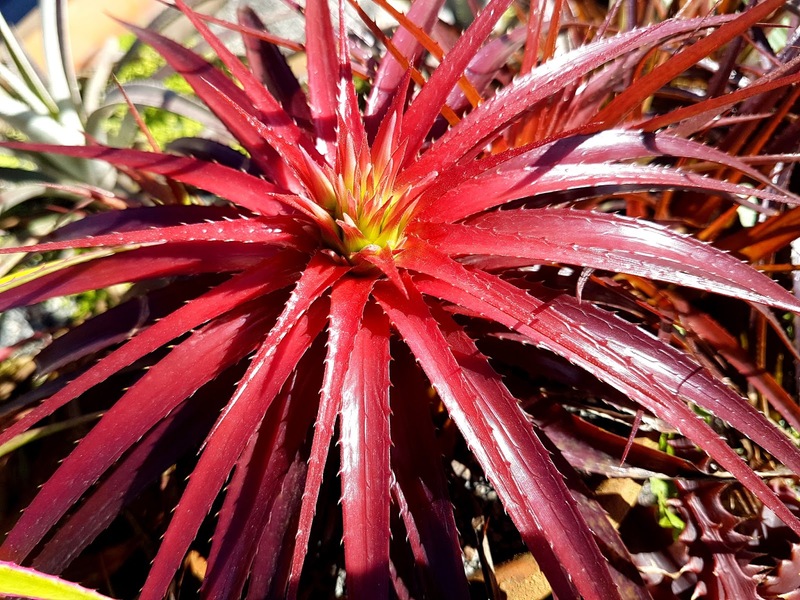 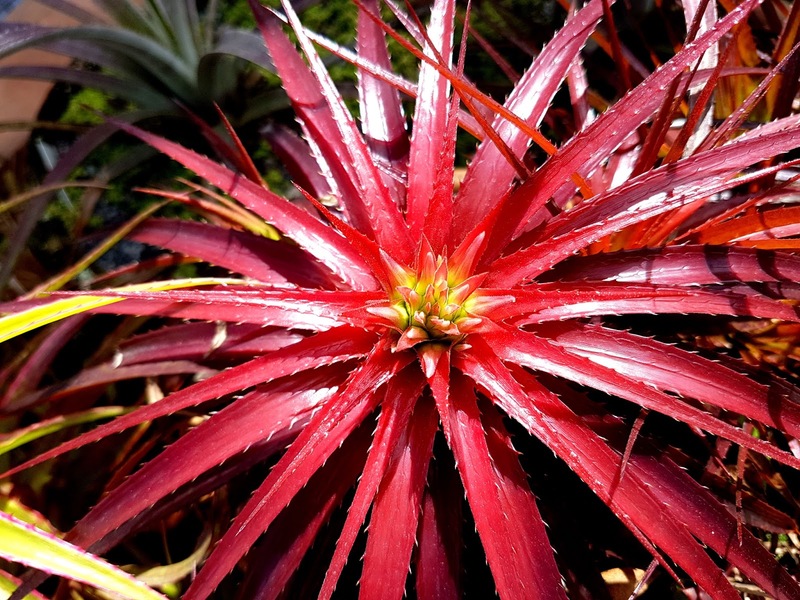 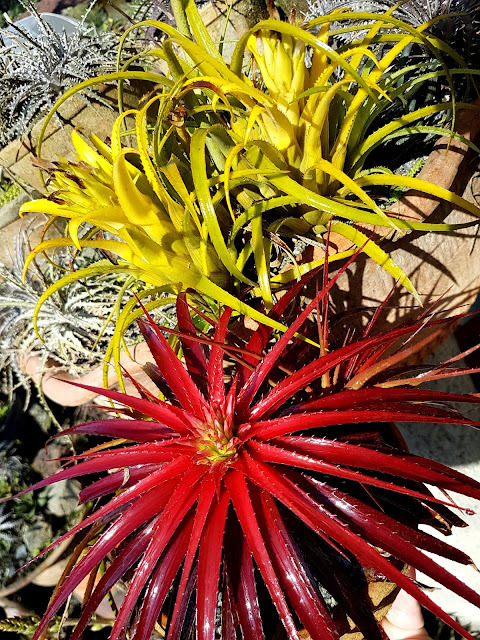 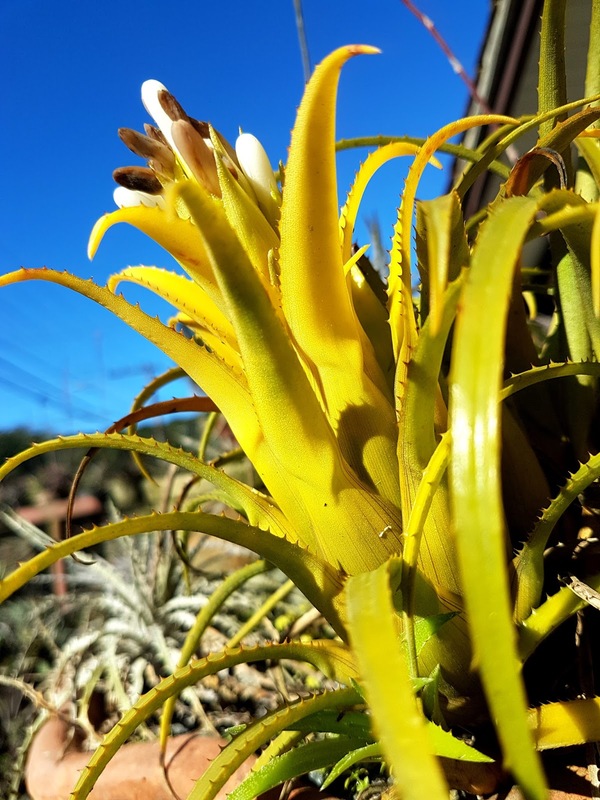 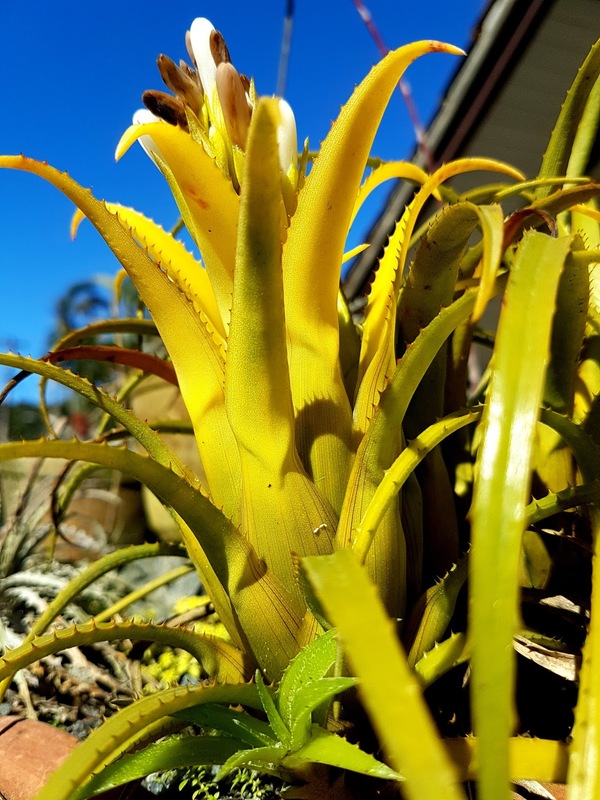 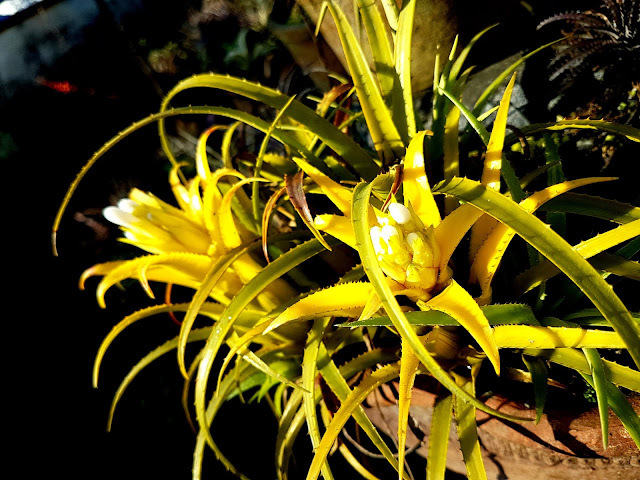 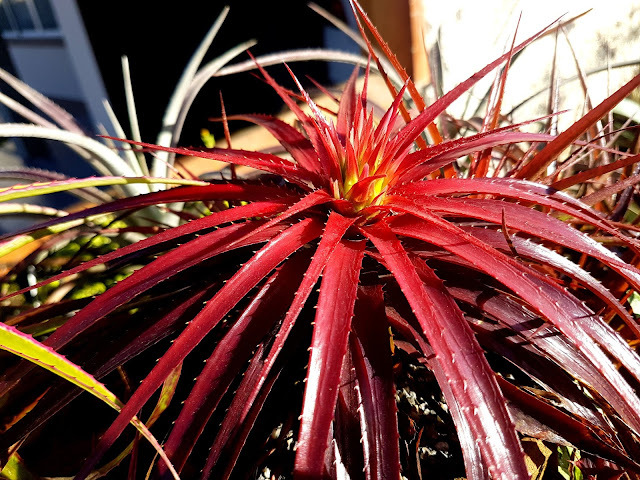 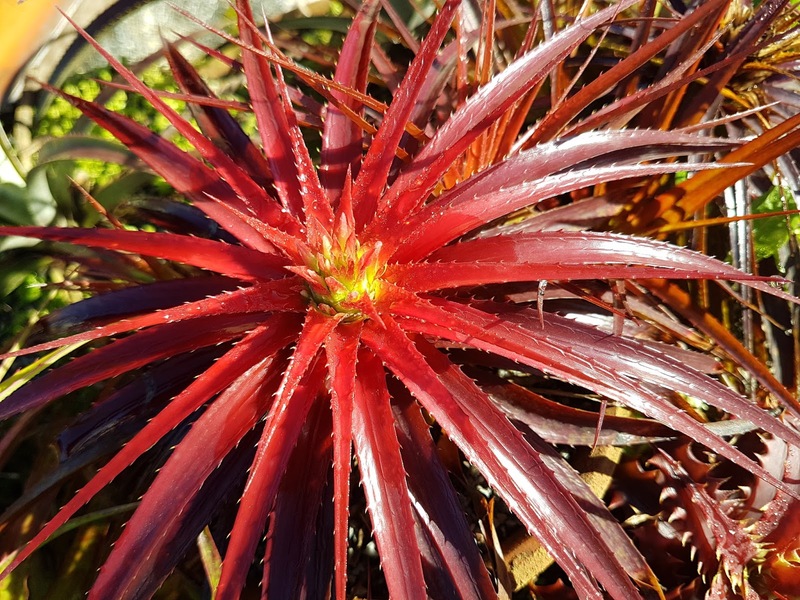 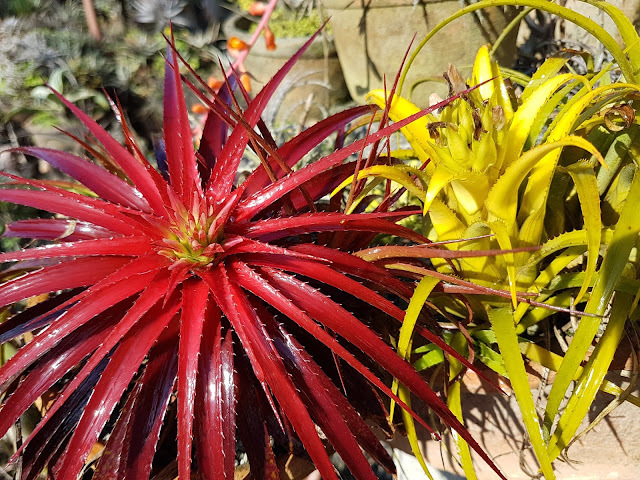 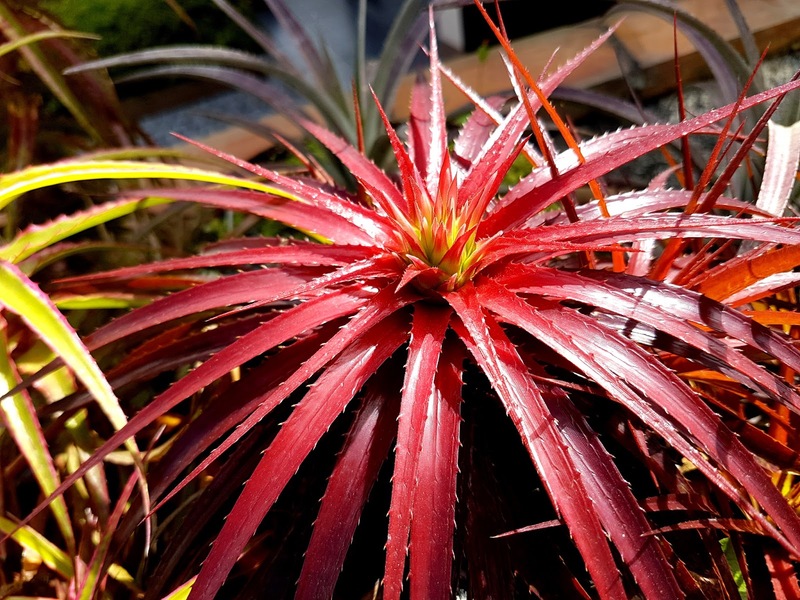 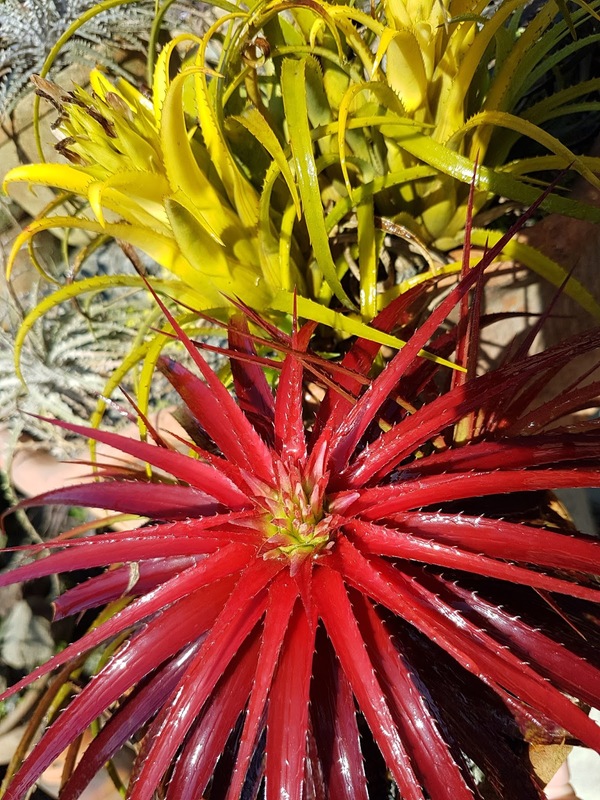 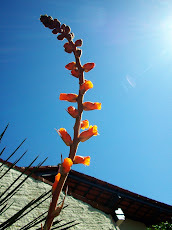 This plant is a sight to behold and it grows on rocks as Dyckias do. 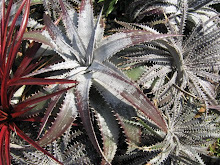 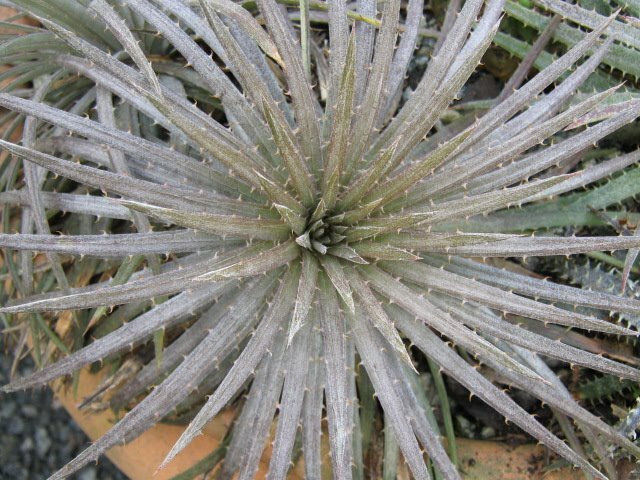 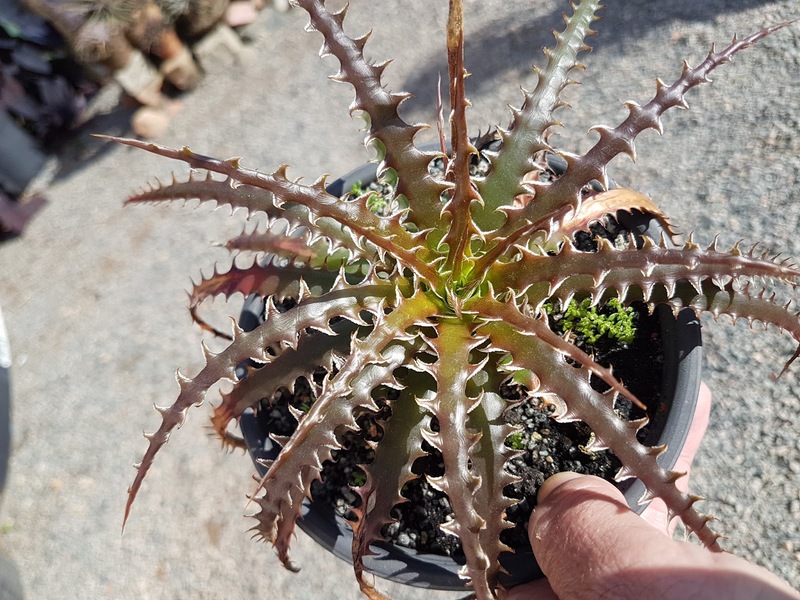 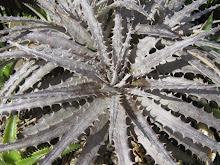 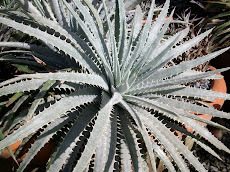 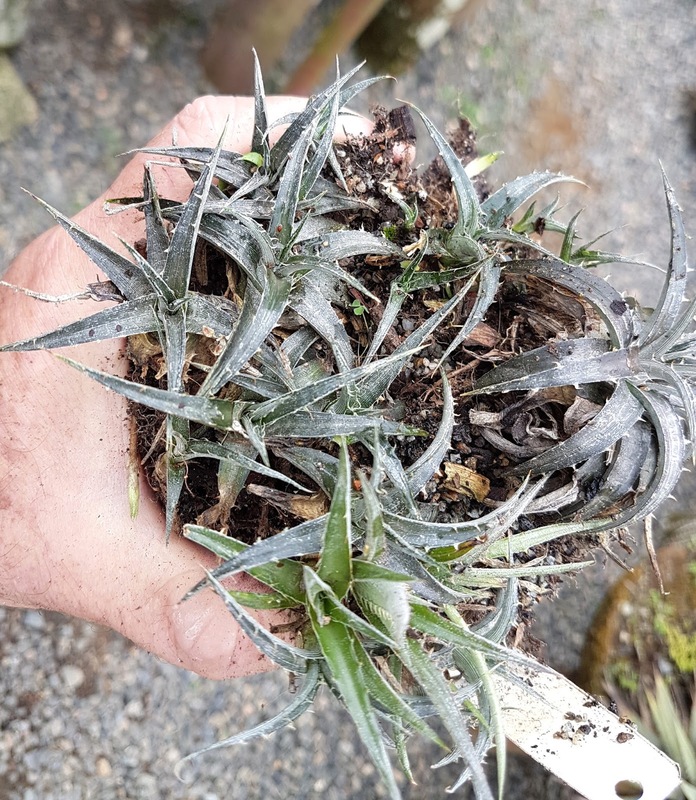 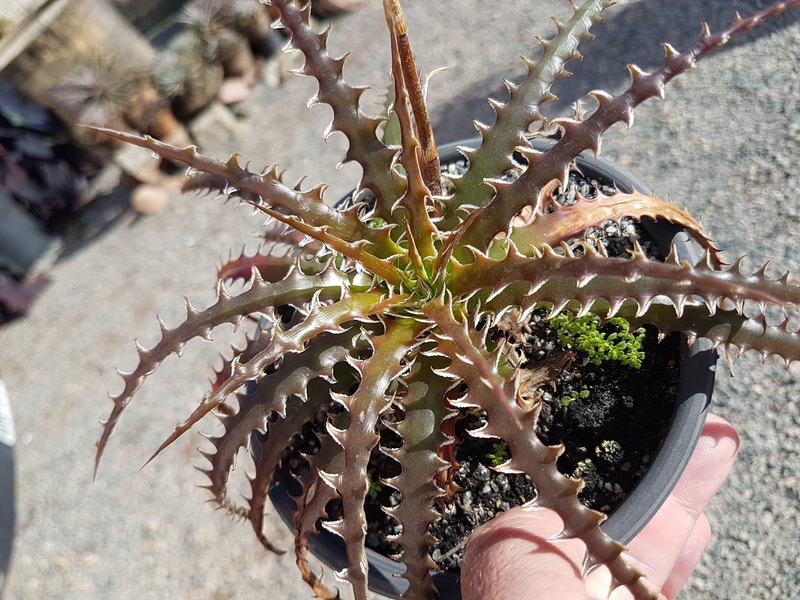 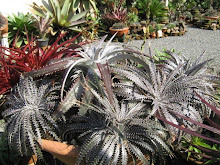 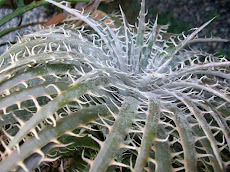 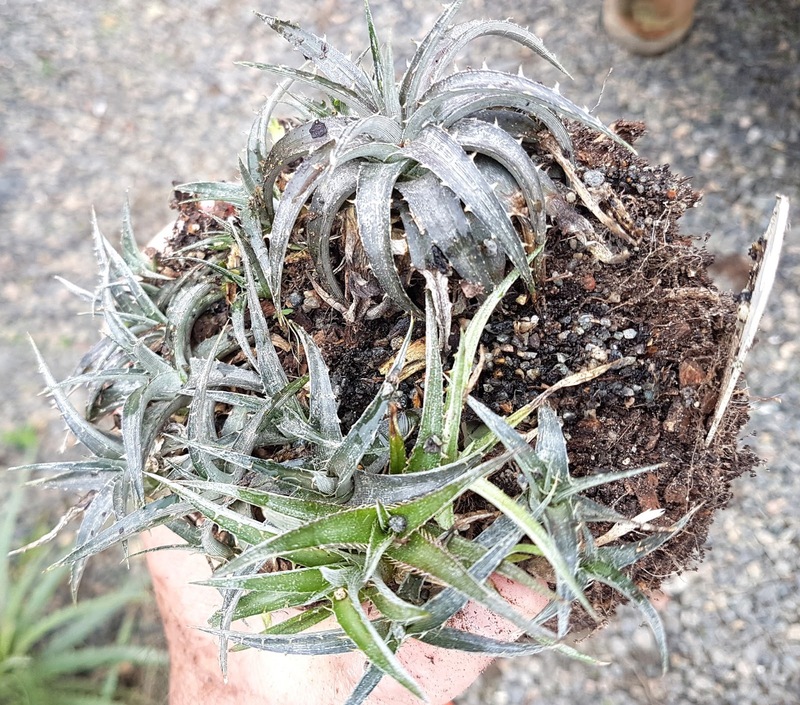 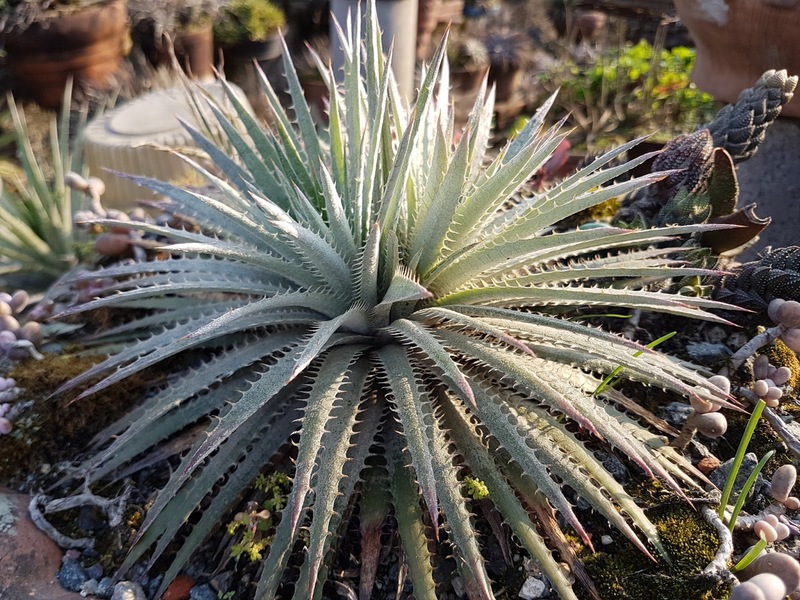 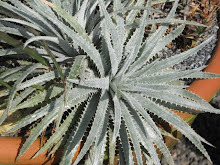 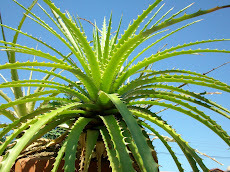 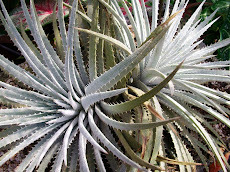 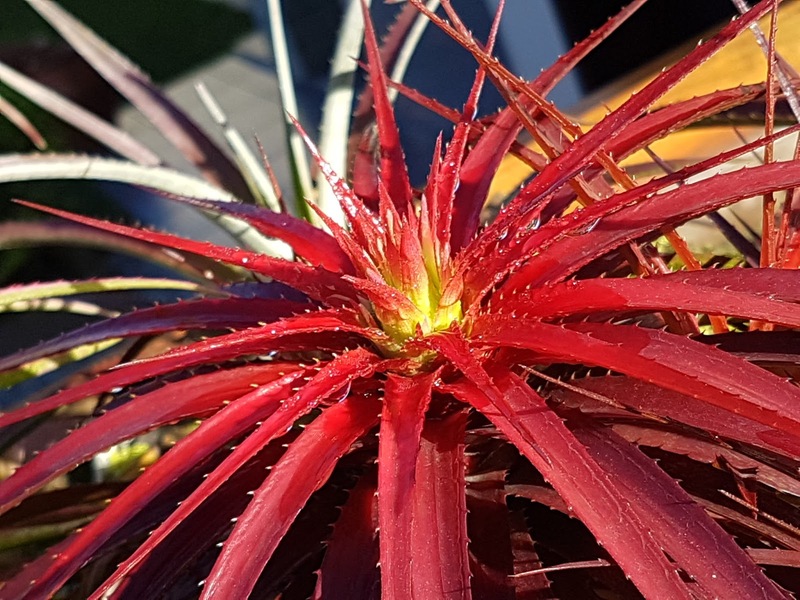 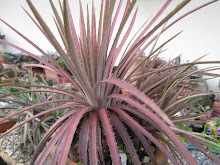 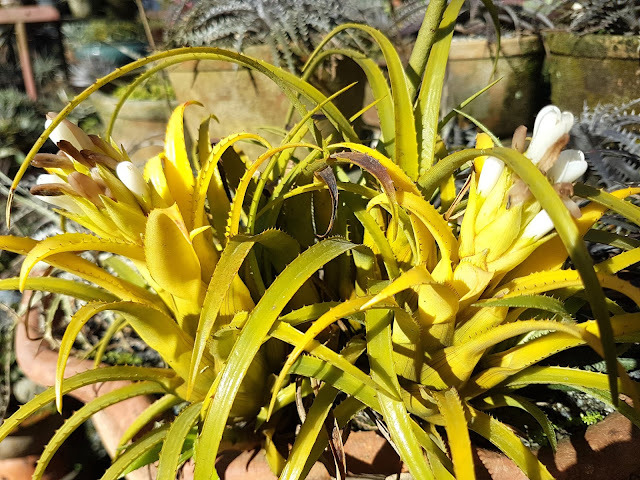 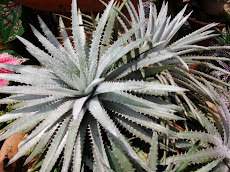 A fine Dyckia company for sure. This plant here is about to show its flower. 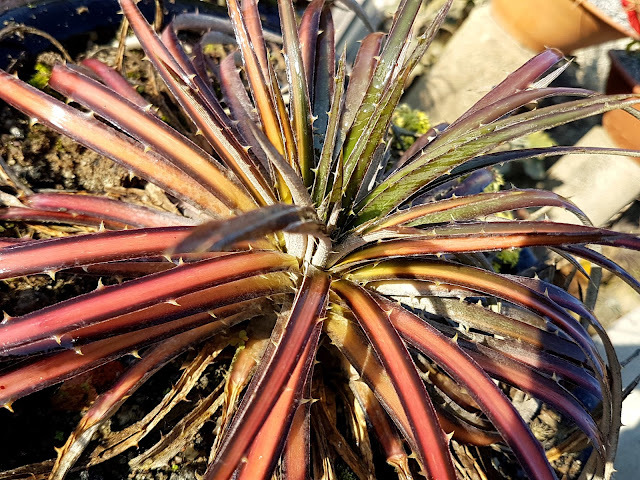 they die after blooming and one must to start it all over again in order to have new plants. 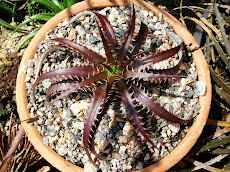 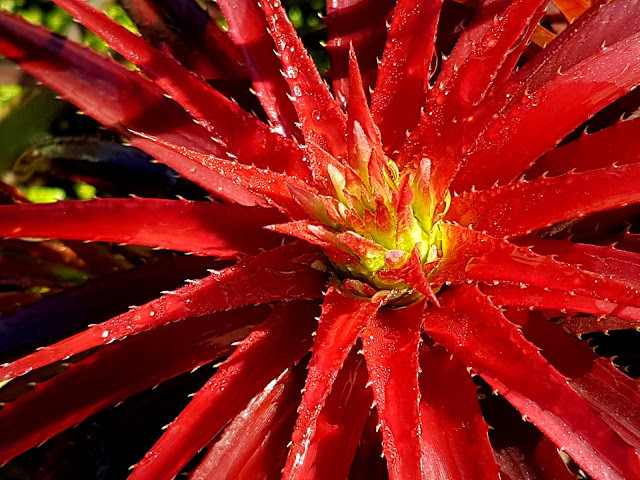 Dyckias are curse free for they do not die by blooming. 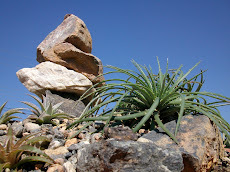 grace and color to any rock garden. 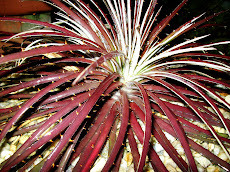 ne, newfound one. 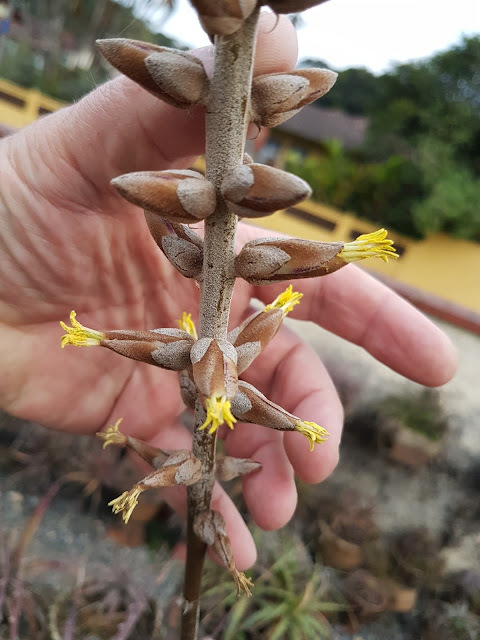 Small and colorful and I have seeds.